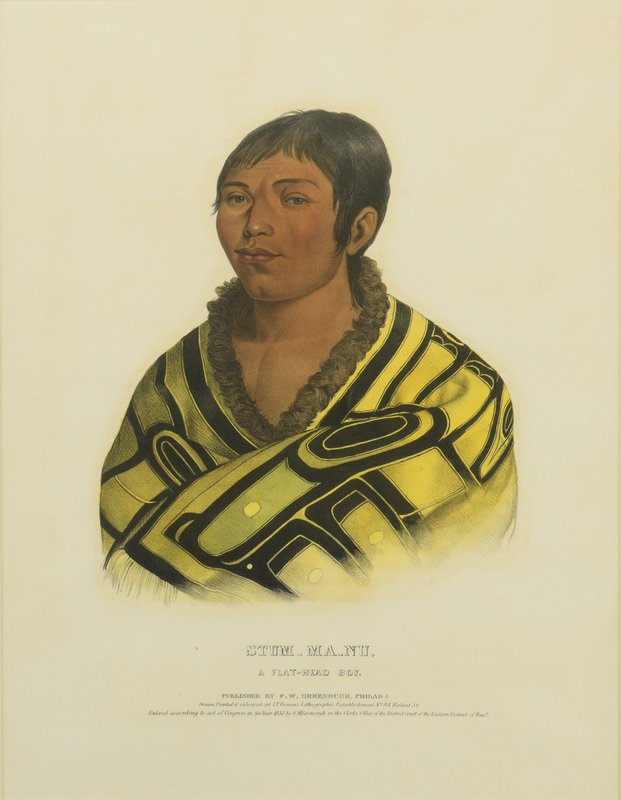 "Stum-Ma-Nu, a Flat-Head Boy", drawn, printed, and colored by L. T. Bowen's Lithographic Establishment, published by F. W. Greenough, Philadelphia, PA, circa 1838. From "Indian Tribes of North America" by Thomas L. McKenny and James Hall. 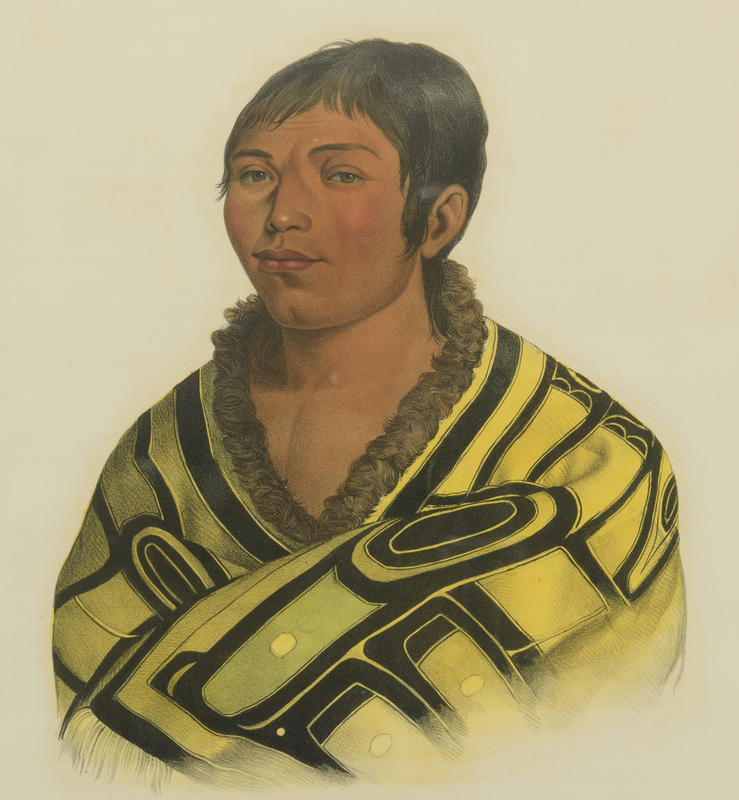 Lithograph with hand coloring depicting Stum-Ma-Nu of the Chinook, or Flathead, tribe that inhabited the region north of the Columbia River in the Oregon Territory, now Washington State. Housed in a contemporary wooden frame. 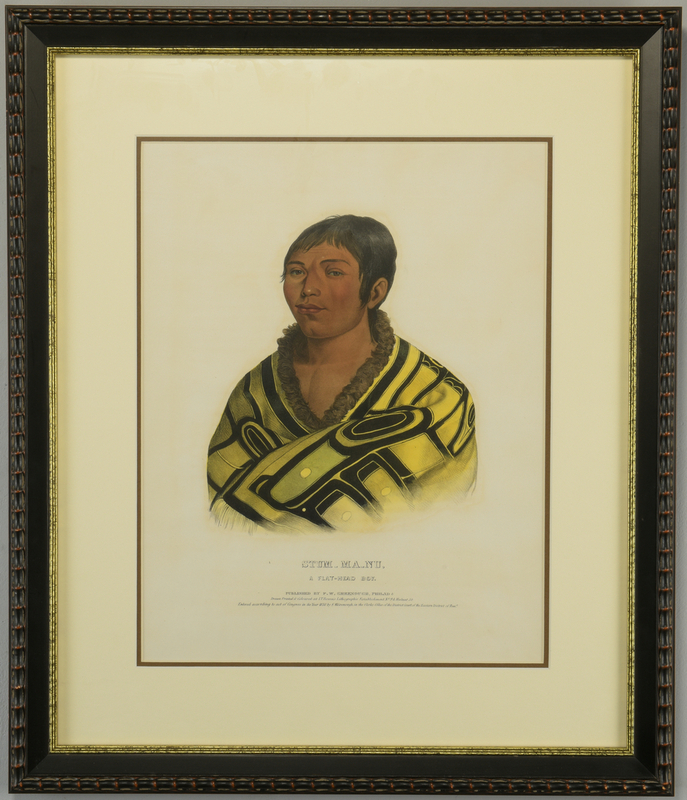 Sight – 15 3/8" H x 11 7/8" W. Framed – 23 1/2" H x 19 7/8" W. American, early/mid 19th century. Provenance: Collection of Charles and Ann Wells, Nashville, Tennessee. 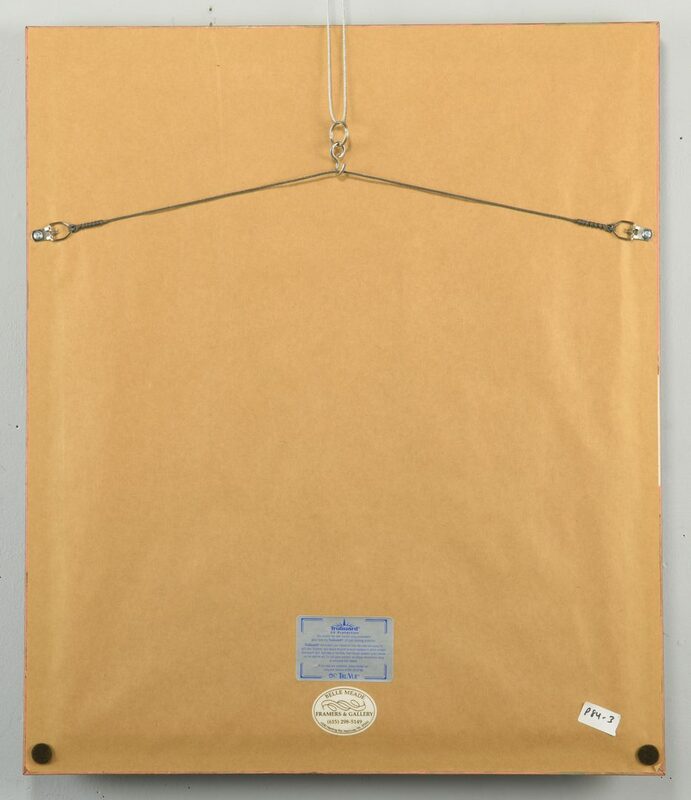 CONDITION: Minute black mark, lower left of sheet. Not examined outside of frame.